17th issue of the comic published by Eclipse Comics in 1990. Signed by Gaiman on the front page. 17th issue of the comic MIRACLEMAN by Neil Gaiman and Mark Buckingham and published by Eclipse Comics in 1990. Signed by Gaiman on the front page. 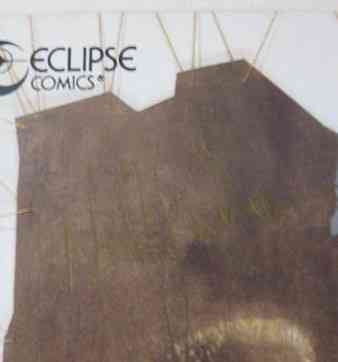 The comic is in fine condition with no significant wear. Appears unread. 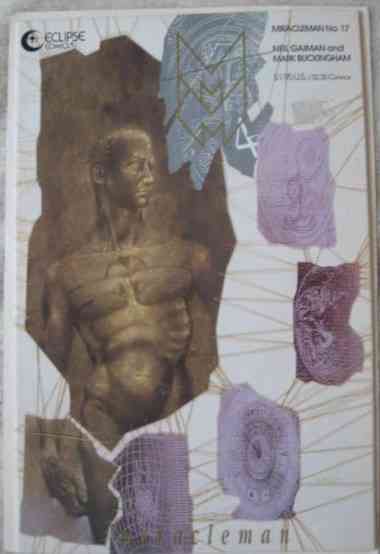 Internally the pages are clean and tight and there are no tears or other inscriptions. This slice of life story focused on the pseudo-religious change that took place in Miracleman’s new utopia. Four pilgrims journey through Olympus to have an audience with Miracleman. Miracleman himself admitted that such audiences didn’t always result in wishes being granted.